What’s the most important leadership lesson you’ve learned and how has it proven invaluable? In the middle of a disagreement, a scientist I worked with once told me, “You’re fearless. You’re not afraid of anything.” I’m not fearless, but I do believe in momentum and movement. Of course, this also means I need to know which direction I’m headed. As Yogi Berra said, “If you don’t know where you’re going, you might get there.” As a leader, one must keep moving toward the future, the good, the goal. Encouraging others to keep working toward those ideals is easier if they see it in you. My research addresses questions related to the sustainability of forest ecosystems, and that includes understanding how soils, water, vegetation and other biota interact with humans. I want to answer basic questions about how ecosystems work and provide answers to the questions of “What do we do when…?” “How can we manage for …?” It’s important to understand how ecosystems work and how to care for them. I also want to recruit and inspire others to care about forests, soils, water and ecosystems. There were no women in the generation before mine conducting forest and wildland soils research – very few in soil science in general. I’ve been fortunate to have great mentors and wonderful cadre of female scientists to help me shape my career into what it is. I want to serve in that role for future soil scientists and foresters. It matters that we have good scientists in the future – it’s how our world will survive and thrive. AWIS always had what I needed when I needed it. In the West Virginia chapter, the group of women scientists helped me fit in, addressing particular needs related to being in a male-dominated field in a conservative, patriarchal region. AWIS National has useful information and trainings and sometimes just encouragement throughout the magazine and web content. I have felt welcomed and valued at those times when such understanding was perhaps not available locally or in my other professional organizations. The discussions in AWIS are always ahead of the curve, anticipating the issues so I felt prepared to deal with them as I experienced them. A leader in the soil science profession, Mary Beth Adams, PhD, is research soil scientist with the U.S. Forest Service. She has degrees from Purdue University and North Carolina State and began her career as post-doc at Oak Ridge National Lab evaluating effects of acid rain and ozone on loblolly pine trees. 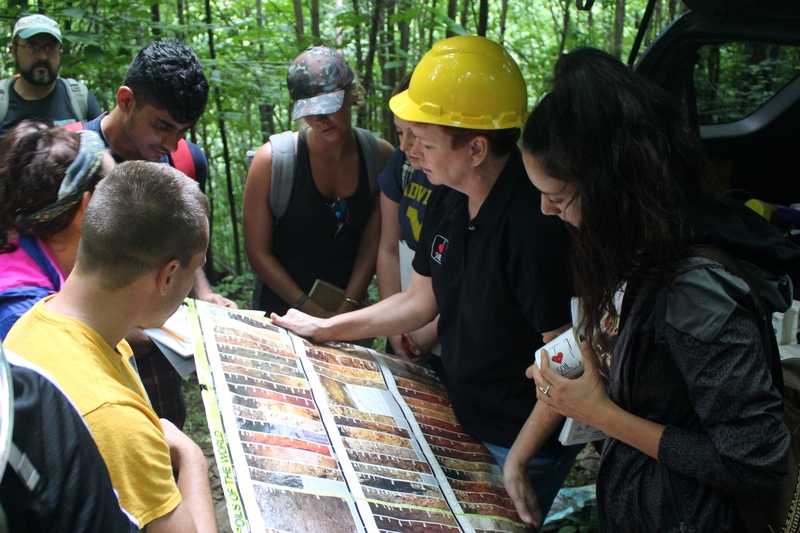 She has continued to work in the environmental field, evaluating impacts of different kinds of disturbance, both human-caused and natural, on forest ecosystems, particularly working in soil science and watershed research. She specializes in large, long-term field experiments. She is recognized for her leadership in the areas of forestry and watershed research, management of research experiments, and for mentoring and outreach activities. She is Soil Science Society of America Fellow, Distinguished Alumna of Purdue University College of Agriculture, and part of several nationally recognized research teams.